My Aunt Sissy is amazingly talented. 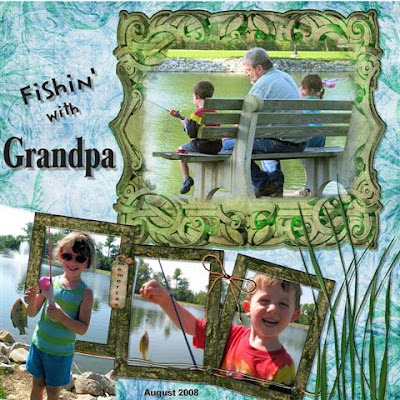 She has been digital scrap booking for years and has truly mastered her art. This weekend she sent me this page of the kids from their fishing trip. Huge thank you goes out to her for putting this together! This is a-d-o-r-a-b-l-e. Where does she go to do these? I think she also tells what programs she uses somewhere in that link.